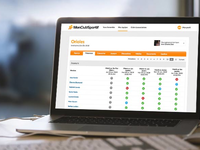 The ultimate application for sports teams, organizations and schools. 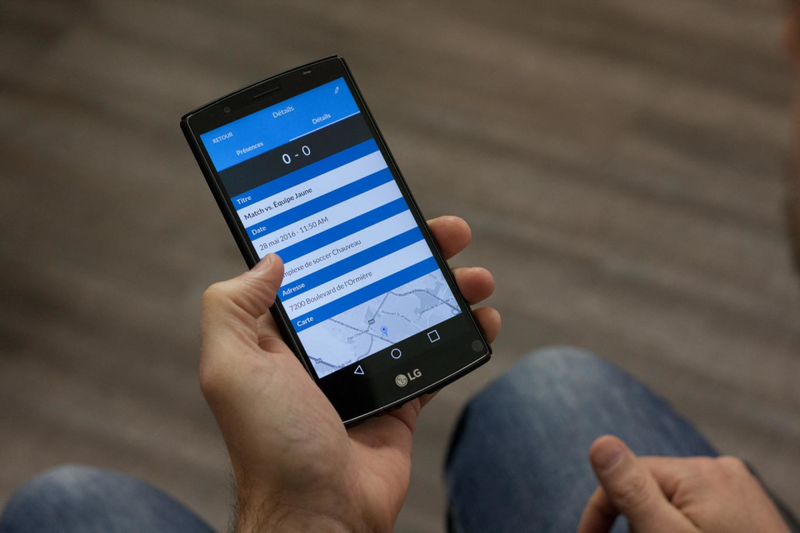 A Web and mobile sports team management software simple and fast. Communicating, managing and coordinating a team has never been easier. Cons: Doesn't have a financial module/feature like others have to mange the team's budget. Overall: I have been using this tool for 4 years now on a personal basis to manage my 2 daughter's soccer teams. Parents, players and I liked it so much, I was able to convince the whole soccer club to purchase licences for all the teams in the club. It has all the features one could dream of: Calendar, Presence/Absence, Media sharing, link to map for game/practice location, can create a website, players/trainers coordinates, etc etc, and now a new statistics feature ! Pros: ALWAYS CAN KNOW WHO COMES TO THE MATCH, KNOW THE SCHEDULE, EXCHANGE WITH THE PARENTS AND SHARE DOCUMENTS. Cons: THE SITE HAS A LOT OF EVOLVING SEVERAL YEARS AND ALWAYS MORE FRIENDLY, THE MOBILE APPLICATIONS IS DEVELOPING BUT CAN NOT SEE A LIVE GAME THAT WOULD BE FILMED BY UNPARENT. Overall: WHETHER FOR MY ADULT HOCKEY CLUB OR FOR A BASEBALL CLUB WHICH I AM LOOKING FOR, IT ALWAYS REMAINS TO KNOW WHETHER MY PLAYERS SHALL PRESENT THEM OR PRACTICE. FINISH TELEPHONE CHAIN AND EMAIL FOLLOW-UP. THEY MAY ALSO LEFT MESSAGES TO PREVENT THEIR RETATRD OR PROBLEM SITUATIONS SO THAT ANOTHER PERSON CAN ACCOMODATE THEM. Pros: The easy way to inform the team player our availability for training and/or games. Cons: I like the app so it's ifficult to find issues to describe. the annoying part is sometime the facts that we ahave to sign up again because we are no longer logged on. But that's not so bad!! Overall: We know how many players are coming, and therefore we are able to prepare programms base on the Numbers of attenees. Pros: Very easy to manage players list and calendar. Cons: I guess the application is only available in French. Overall: I'm using MonClubSportif application to manage my 2 soccer teams every season for 4 years now and I'm very happy to use it every time. Less complicated than Teamsnap that I used before. The application is actually in English too ! Pros: By simply looking at the application, you have a quick update on next activities for all the teams you're in or you manage. Cons: Sometimes pages are not displayed when we open application. This is a rare issue. 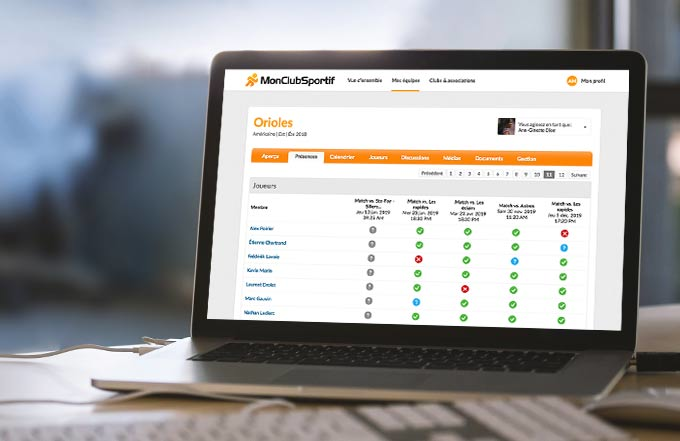 Overall: MonClubSportif is really an easy application for team management. After trying others, you always come back to MonClubSportif since it's the easiest one to use for users and administrators. Pros: This application is a Godsend. We used to update all of our teams parents by hand, now they can just look up the next practice and game. Plus we can share other files and special events. Brings the joy back into managing a hockey team! Cons: Had some glitches with the app a few years ago but all has been resolved now and support has been awesome. Pros: I like that you can easily see which players will be there or not. Also the map allows us to access google map easily though the click of a button. Cons: To add events to your outlook calender, you need to do so one by one. It can be long and tedious for a soccer season. I have been using this app for many years for different teams and everybody loved it! Overall: It's easy, simple and links you direct to your players and staff. A must use if you are involved in coaching. Overall: I been managing managing 4-6 teams yearly (hockey, baseball, dekhockey) for a number of years. 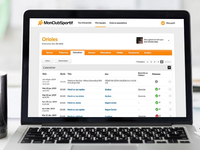 MonClubSportif helped me get better organized, save time and more efficient. 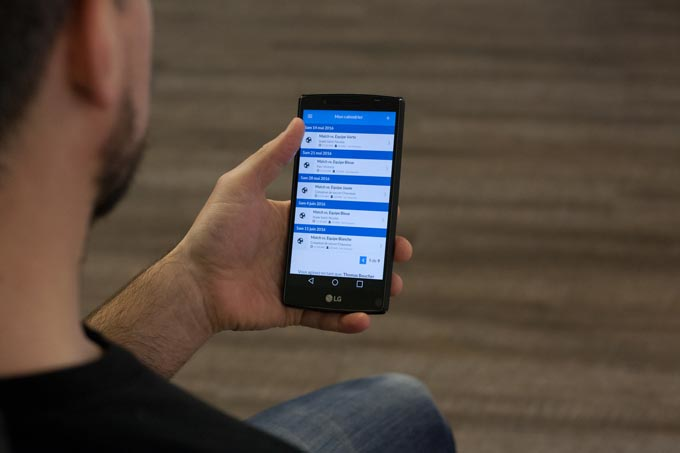 It is actually possible to synchronize the schedule with your personal calendar. Pros: The application was used friendly for everyone on our team. It was easy for each participant to use and to identify presences and absences . Pros: The mots easyer software for hockey ans soccer team. Cons: Notting. That it ! Overall: Ils easy to contact all team player's for training and game. Pros: Vert easy to use , all my kids team at the same place et the same time with alerte 24hrs before. Overall: Now I know how many players I have 24 hrs before the game, I can do my Line Up with no surprise. Overall: Very easy and intuitive software. Great features as well as iPhone app. A must for team managers. Pros: Amazing and easy to use interface. 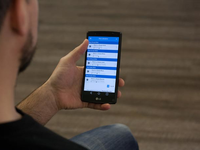 The app makes managing sports with the family so much easier. Overall: Great app with reminders to manage your schedule. Discussions make it easy to get in touch with the coach or other parents. Cons: Changing season is not very simple. Hard to delete or store old players for next season. Overall: Know quickly who is available. Pros: I really liked that I could manage my team's activities such as games and practices. And for every change that was made, the players were noticed by email immediatly. On top of that, everyone could signin and let know if they'll pbe present or not. Cons: Nothing, I really appreciated all of it. Overall: I don't have to manage presence to a game with my emails and losing some information. Pros: This software is easy to use for the administrator as well as for users. Cons: nothing. It is so easy to use and user friendly. Overall: We have been using this application for years to manage baseball and hockey schedule, discussion et activities. Pros: I like the option of putting documents and videos. It is also a great tool for parents to know what is going on. Cons: Sometimes it takes a while for me to find things to help parents and students to accept invitations. One person had accidently set her time 3 hours ahead and I was unable to quickly show her how to change it. Overall: I have really enjoyed using it. It helps me be organized and helps with communication. The price is nice as well compared to other sites. Pros: Mon Club Sportif is convenient and effective. 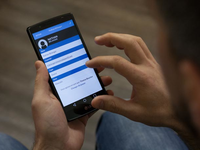 Every team member can update his profile, follow his schedule, contact the management team and consult documents and pictures posted by the team. Cons: I would like Mon Club Sportif to show a visual calendar that we could navigate through, just like our gmail calendar. Overall: We've changed team and had to learn to use this new tool, as our last team was using another management tool. Upon my first visit, I was able to read the last posts and learn about the team philosophy and spirit and learn about their team objectives. Pros: Easy management of player's presence and schedule. Great to reach every members of the team. Cons: I would appreciate a notification on replies in the discussion section. Overall: Definitely save me a lot of time. Pros: Easy to work with this application. Easier than others. Cons: Nothing, unless you are not able to change your game status 24hours before the event. Overall: Great expereince. We are working with this since 3 years. it is possible to desactivate this option if you put 0 in the case. The admin is the only one who can change it. Pros: Players Information/Effectively consolidate all players informations at a single place. Pros: Ease of use, link with emails, reminder to parents, présence Management. Cons: Not much. This is a great solution. Maybe a better pricing for a few months but not annual! Pros: Very easy to use. Good planification for all players in thé team. Cons: Nothing to said. This apps is perfect. The point is to be difficult to add a picture. Cons: no negative comments about software. Possibility to put a team logo ?? Cons: Haven't had any issued as of yet. Very happy! Overall: Very easy and fast to get all the info. needed. Pros: Schedule of games, team info, availability and reminders!! Cons: I cannot think of anything bad to say about it. Overall: We are connected as a team. Details at our finger tips. Pros: The communication with the parents is very easy with the apllication. Cons: Nothing, but the speed of the application on Android maybe more fast! Pros: MonClubSportif is useful to manage players attendence for my softball team. Every player can quickly indicate their presence for any game on the schedule. Also, the app has a alert functiob that reminds players about an upcoming game. 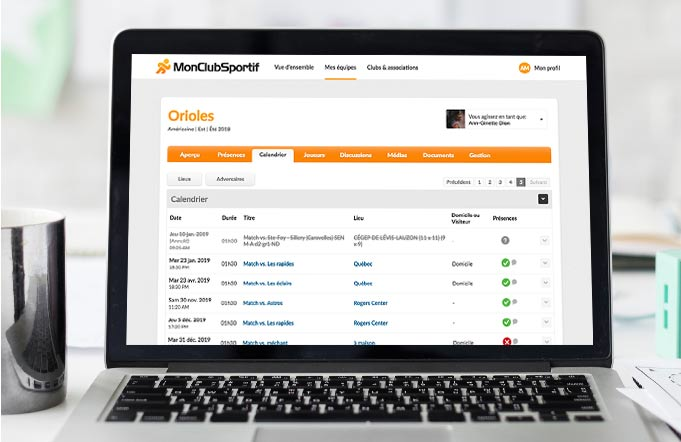 Cons: MonClubSportif requires team managers to set up the users by entering their contact information manually. It should integrate a function to add players/users more easily through Facebook per example. Cons: I don't know. Very good. Maybe time to make entry. Pros: Really easy to use, integrate well with Google calendar. Cons: Maybe too many emails at my taste. But I prefer too many than not enough. Pros: Excellent user experience. Many features. We get our money worth. Cons: No Cons. This application is almost perfect. Cons: Is possible adding hyperlink of location? Pros: MonClupSportif helped me manage parents and kids throughout the season. 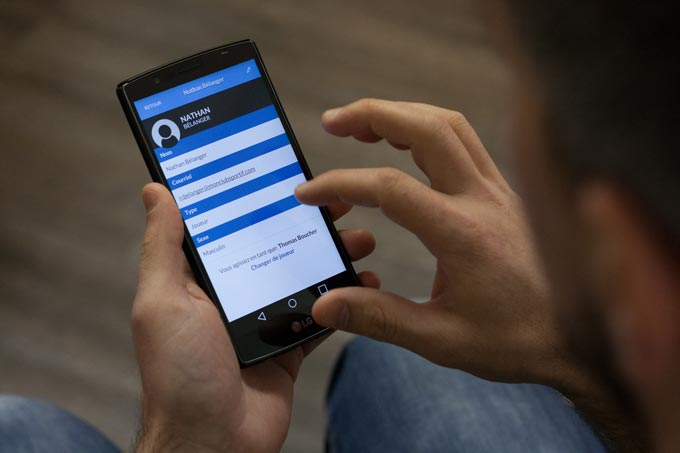 What i like the most about this application is that it sends notification to every member of my team before a practice, a game or a tournament. It helps me save time and energy and focus on my coaching job. Cons: Last season, i had already shared the season schedule to the parents through an excel document. At the parent meeting, one of the parents suggested to have a team membership with MonClubSportif, which i agreed. I had to recopy all the schedule and it took a lot of my time. 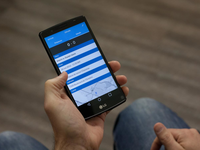 It would had been better if MonClubSportif could process Excel or word documents in order to enter data in the app system. Overall: I think it is a good feature to coaching because it helps with managing. It is those type of apps that other coaches would love to have. It is possible to import the team's game schedule. To do so, just follow the steps in this article ! Pros: Its easy to use, and to know wich player will be at the next game or practice. Cons: The apps its a little bit slow sometimes. Cons: lack of some features like different kind of event like practice. Pros: You can assure that the manager know when you are present or not. Cons: Some facilities are not available for free.